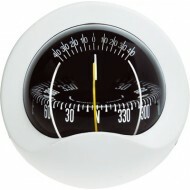 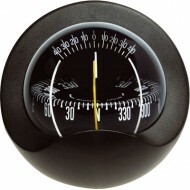 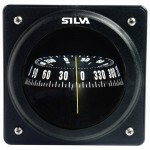 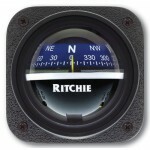 A modern and stylish looking sailboat bulkhead mounted compass. 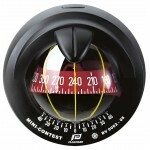 The compass is fitted with a black 85mm cylindrical card graduated every 5.0 degrees. 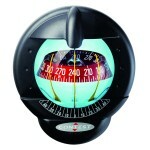 Features Card Graduations: 5.0 Degrees Compensators: N/A Back lighting: 12 - 24v Body colour: Black Card colour: Black Card style: Cylindric..
A modern and stylish looking sailboat bulkhead mounted compass. 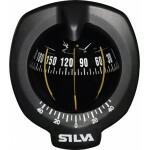 The compass is fitted with a black 85mm cylindrical card graduated every 5.0 degrees. 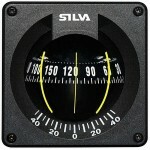 Features Card Graduations: 5.0 Degrees Compensators: N/A Back lighting: 12 - 24v Body colour: White Card colour: Black Card style: Cylindric..